The boys of NU’EST are finally back in Singapore after an eventful visit in October last year. This time around, they’re back after the successful release and promotion of their latest album, Hello. The press conference was held at the Grand Copthorne Waterfront Hotel on 22 June 2013. 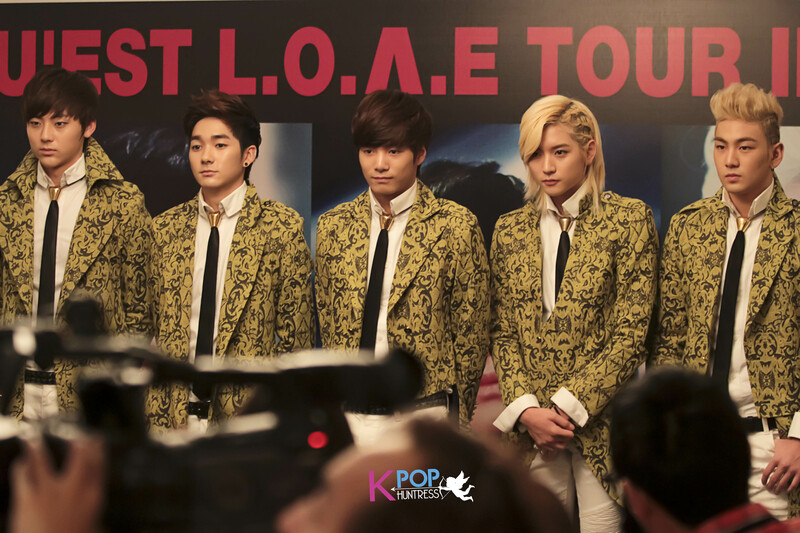 Even though it was held early in the morning, the boys of NU’EST, Aron, Minhyun, Baekho, JR and Ren, greeted members of the media with bright expressions, raring to get their 2013 NU’EST L.O.Λ.E TOUR in SINGAPORE started. It was unfortunate that they had arrived amidst the terrible haze situation in Singapore, but they did not let this dampen their spirits. When asked where they wished to visit, Baekho revealed that he would love to see the Merlion. Aron said that a fan had actually given him masks to protect himself from the haze, and he would really love to thank her for it! 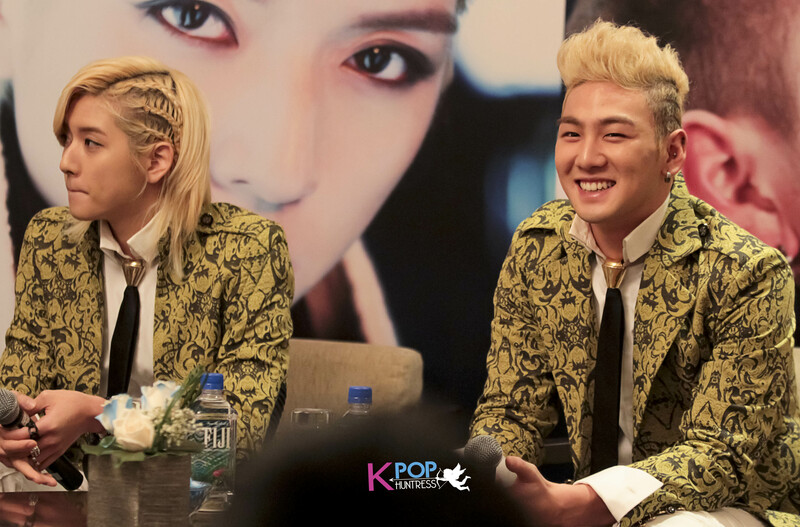 The boys’ last visit was certainly an eventful one for them, and Baekho had thought that Singapore was a very nice place to live in. It is definitely a shame that they couldn’t see more of the country! 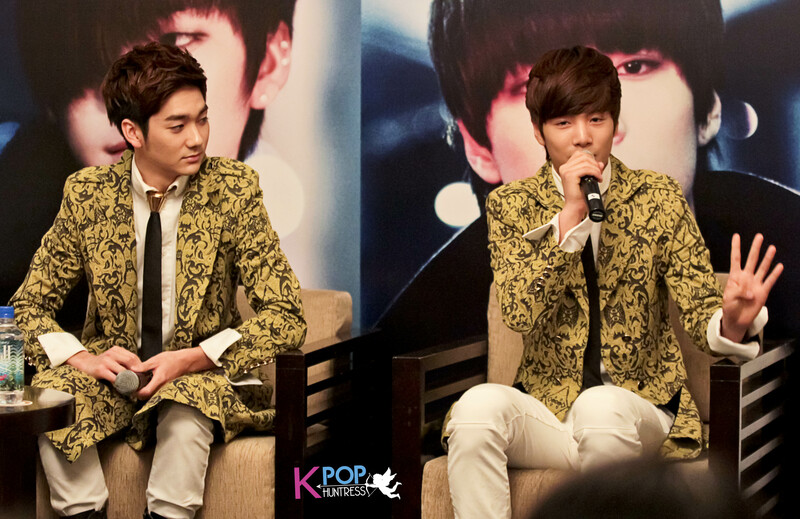 Aron remembers Chilli Crab the most (like every other Korean artiste it seems! ), and they had actually wasted no time in having chilli crab again this time round, having eaten it for dinner the night before. He also revealed that fans can expect to see different stages this time, since they’ve come out with a new album, and that generally they can expect to see a better NU’EST. They had practiced a lot for this showcase (the extent to which we would later see during the showcase itself) and fans could definitely expect a fun time! They also revealed that they would be singing an English version of Sandy during the showcase! However, when asked if fans can expect more English covers and English songs from the group, Aron said with a little laugh that it would just be for Sandy. When the MC touched on the topic of music influences, Minhyun and Baekho admire Big Bang for their powerful performances on stage, Aron is a big fan of Anthony Hamilton and Chris Brown, JR is a fan of Eminem, Ren says he likes Lady Gaga! NU’EST mentioned their own PLEDIS seniors Son Dambi and After School as people they would like to collaborate with, keeping it safely within the PLEDIS family. If given the chance to work with Lady Gaga though, Ren surprised everyone when he said he would like to collaborate with her especially in terms of playing the piano! The transition from FACE, ACTION and then HELLO has been one that was marked slightly by a change in style, since HELLO is a slower song. Minhyun was chosen as the member who fits the HELLO song concept the best because his voice colour fits the song well, and that the HELLO style is one that Minhyun likes the most. They explained that the change in style was done so that they could show different styles to their fans. Fans would notice that the tie features quite strongly in the choreography, but did you know that aside from Aron, none of them knows how to tie a tie? He revealed that the tie they were wearing actually had hooks in the back! In terms of changes from debut till today, Baekho thinks that Aron has changed the most since debut because he was slightly chubby in the past and is now very handsome! Aron admits to this but says he has lost a lot of weight now. In keeping with the HELLO thread of discussion, the MC then asked who among the members gets the most phone calls, and Aron explained that they all get pretty much the same amount of calls, particularly from their parents. 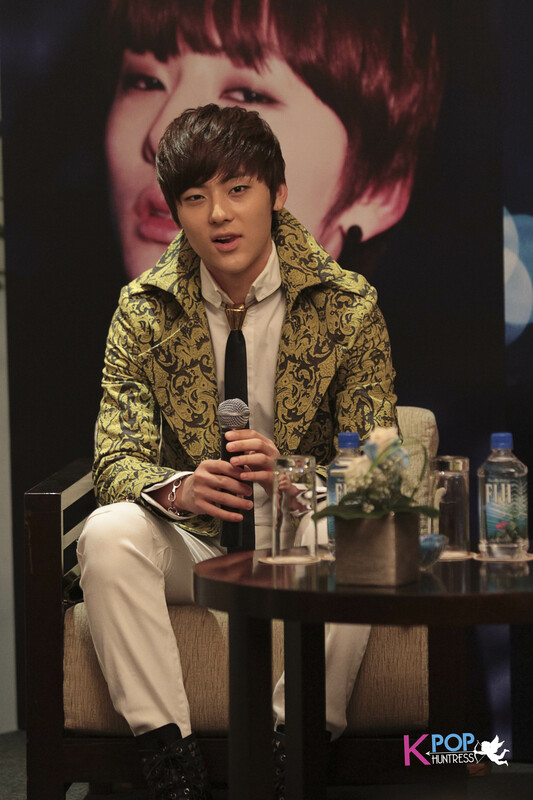 When asked about debuting as actors and what kind of shows they would love to feature in, Minhyun says he would like to act together with his members in an idol movie like Boys Over Flowers. Aron says he would like to be in a romantic comedy, JR and Baekho would like to be in an action movie, and Ren simply says he would like to express himself through his charming gaze. We’re guessing Ren isn’t very particular about it and would act in anything that allows him to show off his intense gaze! In terms of interactions with fans and fan activity, Aron says that the group would love to do activities that involve more fans, not just showcases where they’re on stage and fans are in the audience. They would love to play more games with fans. NU’EST hopes to be a very well-respected international group as well as a famous group in their home country in the future, and we are certain they’re working very hard on this right now. Their debut was an explosive one, and we’re confident they’ll come up with even better songs and better stages not only for their fans out there but also for their dreams of becoming a well-respected group! Many thanks to JNation Entertainment for giving us the opportunity to cover the event!